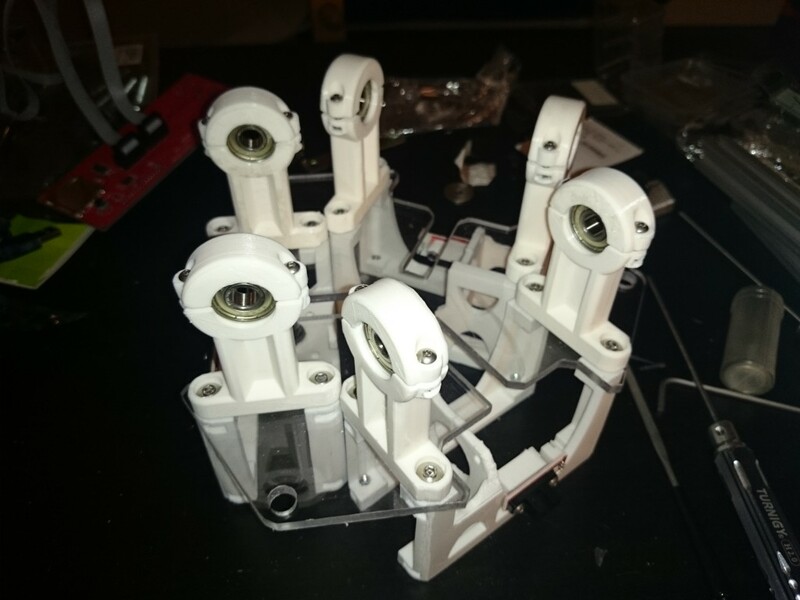 (thanks to Juha, from the FirePick Google group ) I got the printed plastic parts. 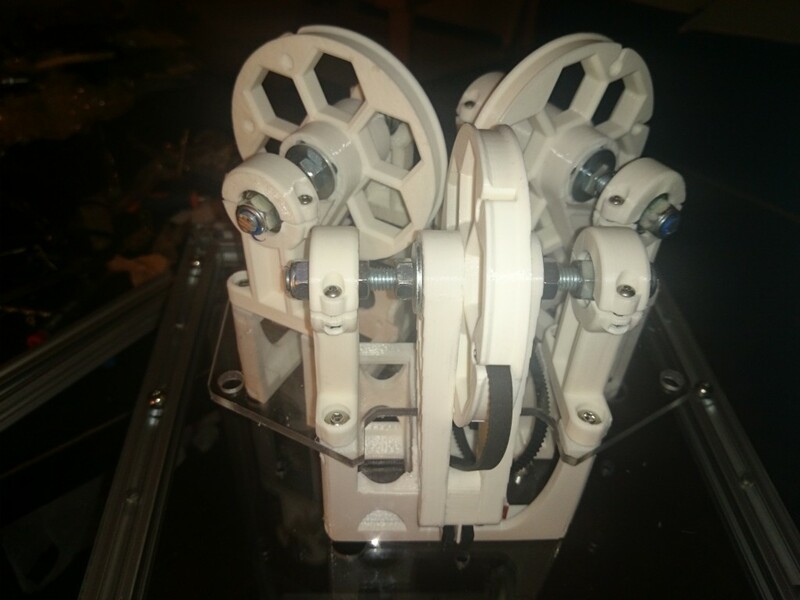 A simple solution for feets: they are 19mm round soft plastic feets, sold in group of 8 for around 2€, and are used to be fitted in chair legs to dampen noise caused by moving them. With a bit of work an M5 bolt does fit nicely. I added a large washer to spread the weight evenly on the feet and prevent it to be ruined by the alu profile’s sharp edges. Now it is time to wait for some other pieces to arrive, the most important being steppers and angle brackets. 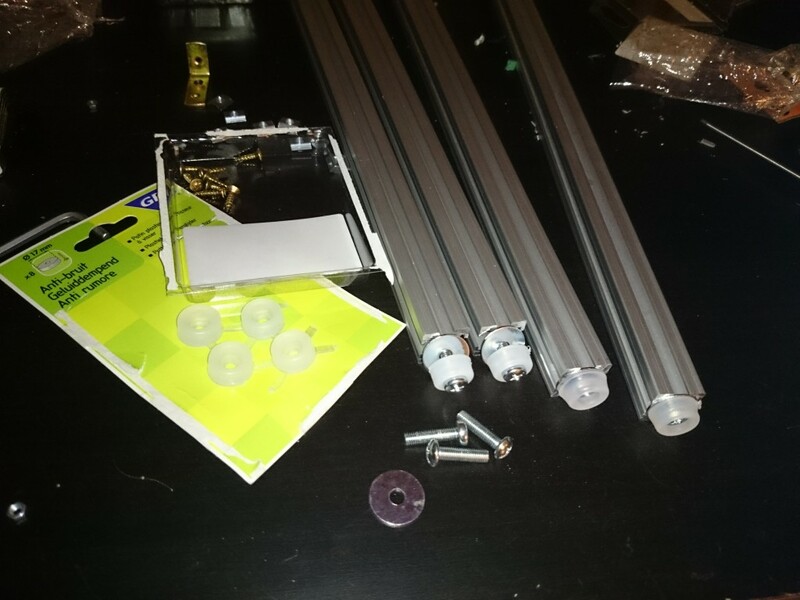 let’s start building my FPD-032 beginning with Plates: bottom, Delta Motor and Top plates. 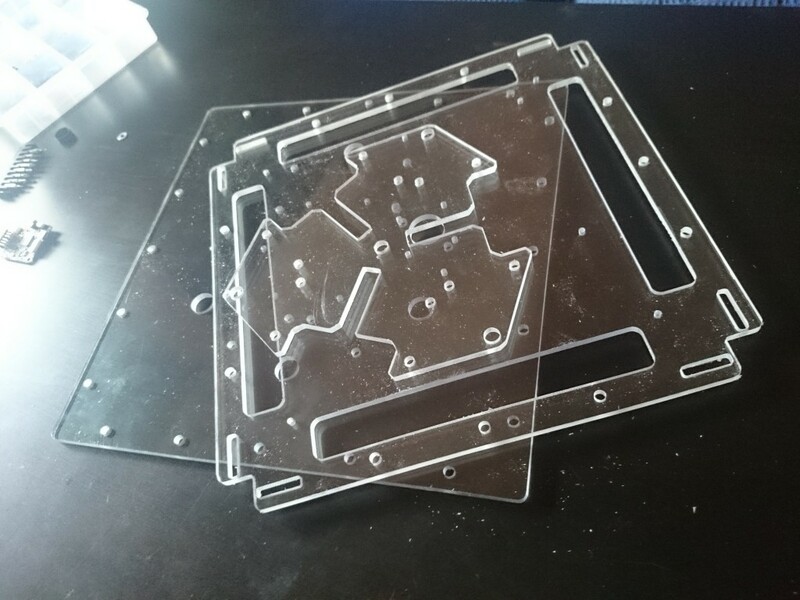 They are milled from 5mm Polycarbonate (lexan) sheet. 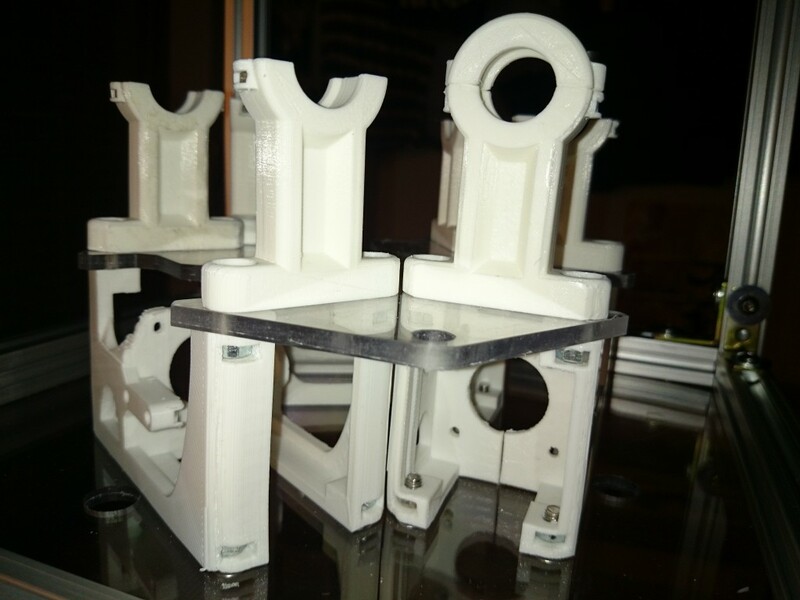 I’m working toward having it working as 3D printer as soon as possible so that i can start to develop the rest of functionalities. I’m going to use RC ball joints and 5mm carbon fiber tubes with a m3 threaded rod epoxy’ed inside.